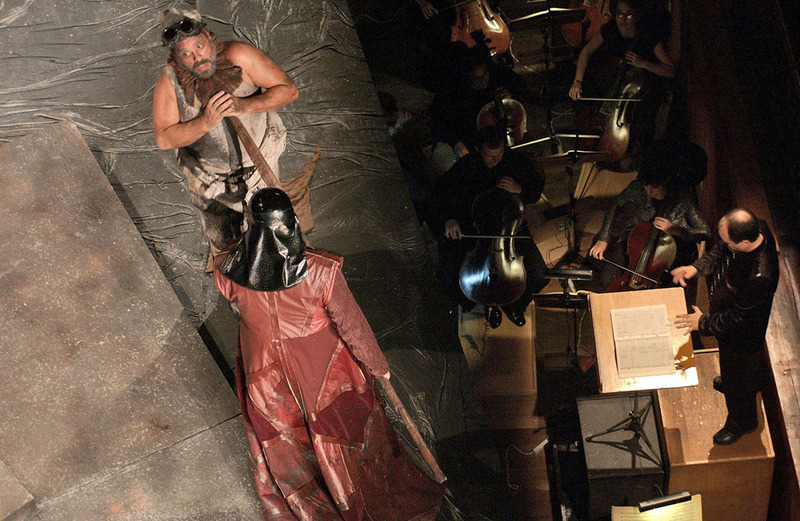 A moment of the Siegfried’s premiere at the Amazon Theatre in Manaus, Brazil. The tenor Augusto Caruso, left, interprets Mime personage has pushed by Wotan acted by the baritone Lício Bruno. On the picture’s right side the director Luiz Fernando Malheiro direct the Amazonas Philharmonic. The Richard Wagner opera has opened the VII Opera Festival in Manaus, a unique event of this kind in Latin America.